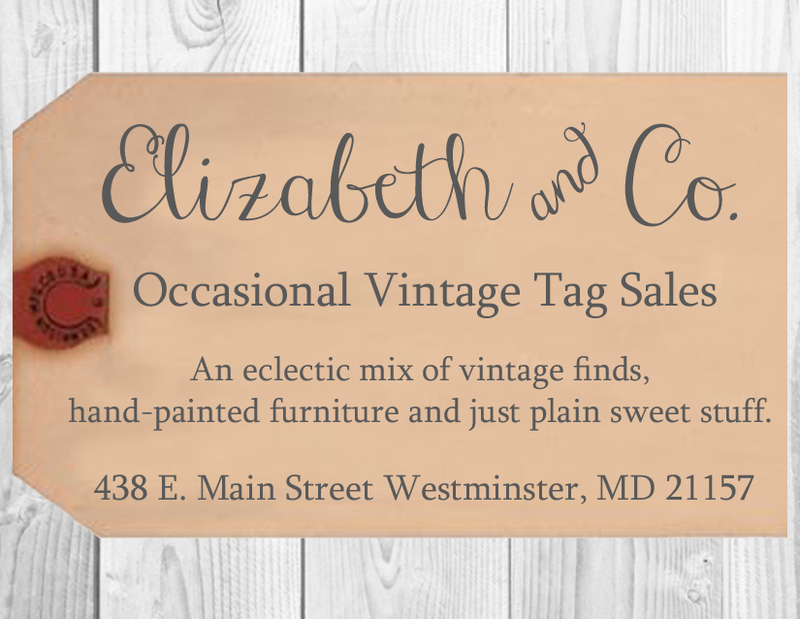 We're excited to be back at Elizabeth & Co. for another year of vintage tag sales! We've filled our charming 1890's home in downtown Westminster with wonderful vintage finds, hand-painted furniture, repurposed and upcycled treasures, architectural salvage, festive wreaths, paper crafts perfect for gift-giving and fabulous home décor! Come join us for a unique shopping experience! 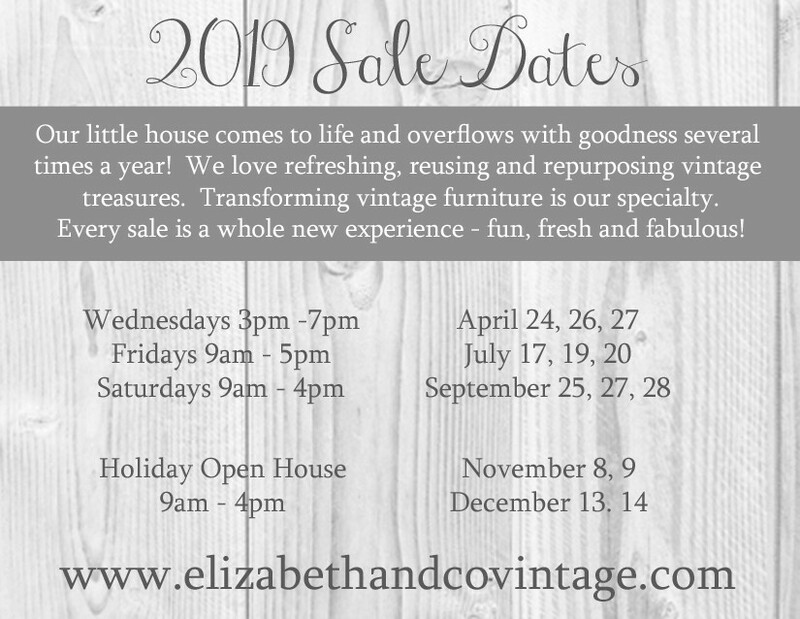 New items are arriving daily and we'll be restocking throughout the sale! Weather permitting, we'll empty the garages and all the fun, crusty, rusty, industrial stuff you love will be on the porches and in the yard! We are so looking forward to catching up with our regular customers again. We missed you over the winter! And we're looking forward to making some new friends too. 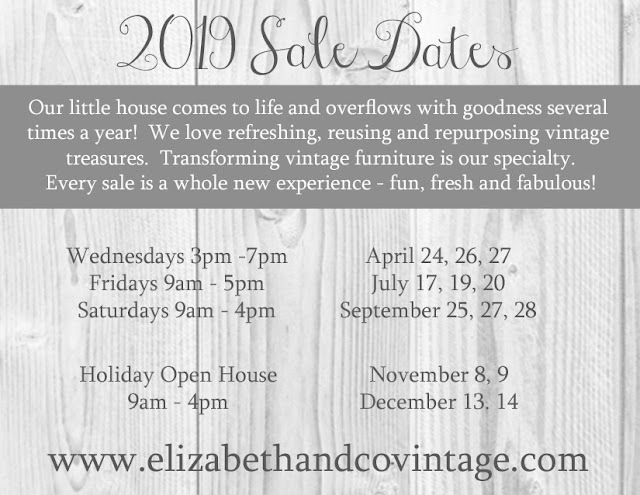 Please help spread the word about us!